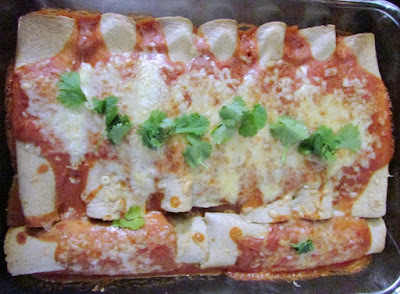 These enchiladas are so good! If you remember, my sister-in-law is an excellent baker. She makes fun cakes and blogs about it at year of cake. She makes more than great cakes though! She also makes wonderful enchiladas. Matt and I were amazed. These smelled so good while they were cooking and they tasted even better. I wanted to make these during the week. I just couldn't wait any longer! So, I made the chicken in the slow cooker rather than on the stove top. I will add the directions of both methods just in case. We were happy with the slow cooker version, but I am sure Jess's stove top version would be even better! 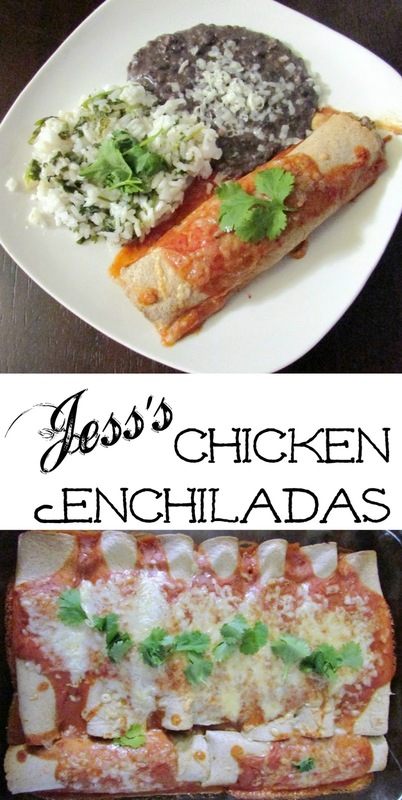 Smothered in Jess's homemade enchilada sauce, which comes together in a snap, these enchiladas are so flavorful. They have a smoky flavor with just enough heat. Of course you can adjust how much spice you add to match your heat tolerance. Matt and I enjoyed our enchiladas with some Mexican rice and beans. Jax was more than happy with one of his breakfast quesadillas and grapes! These enchiladas are full of flavor. Make the filling on the stove or in your slow cooker. You have to try the homemade sauce too! Perfect for Cinco de Mayo, taco Tuesday or for anytime you want an amazing dinner! Return shredded chicken to pan. Add remaining filling ingredients and cook until chicken is fully cooked and lime juice has simmered down. Transfer to a bowl and set aside. Roll filling into tortillas and place in pan seam-side down. 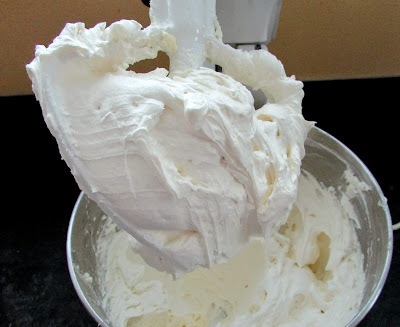 Continue until all of the filling is used and pan is full. Cover with remaining sauce and shredded cheese. Bake uncovered until sauce is bubbly and cheese is melted, around 30 minutes. Note: These freeze well, Jess often splits the batch into two smaller pans and bake one and freeze the other. Thaw in the fridge overnight and put the cold dish in the oven right when you turn it on. It is easier than you'd think. I hope you have a wonderful weekend as well! Thank you and thanks for hosting! We really loved them. Yum, I love enchiladas, these sound fabulous, especially with the homemade sauce! Thanks so much for sharing at What'd You Do This Weekend?! I hadn't made enchiladas for a few years, now I am on a kick! We have been having one version or another almost once a week. I don't know why I didn't make them before. Thanks as always for hosting! Definitely a yummy recipe! 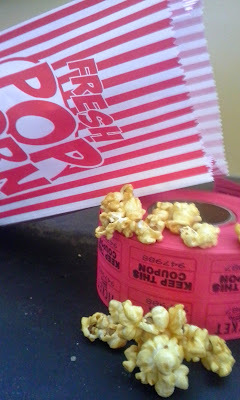 Thanks for sharing your post at the #AnythingGoes Link Party. Thank you, I have been hearing about how good Jess's enchiladas are so it was a lot of fun to finally get to try them! Oh, now I'm hungry! Thanks for sharing this at Talented Tuesday! I'm making these again tonight! We can't get enough! This looks amazing - I discovered your blog today. ;-) Did you use flour or corn tortillas?? I used flour because that is what we prefer. Thank you so much for stopping by! These look better than the restaurant I went to last night! I. Know what we're having for dinner. Thanks. Aw, thank you! I hope you love them! These look delicious! 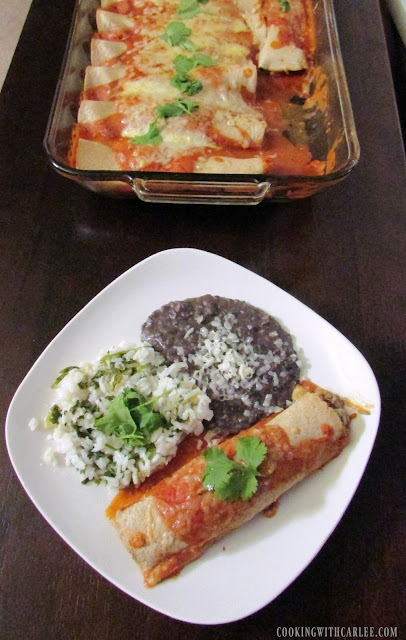 My husband and I are big fans of homemade enchiladas so these will definitely be on the menu! Thanks for sharing, I can't wait to try them out! Boooo! It's terrible when you are looking forward to something and it doesn't turn out as you expect it. I hope your next batch works out better for you! Sadly we have few options around here for good Mexican restaurants, but I have found a store that sells quite a good selection of foods so that I can make dishes at home. I will have to see if I can find the Chihuahua cheese. Fingers crossed! If not, monterey jack or something of the sort will work just fine. Man, both of you in one family, plus your brother, husband and the rest of the bunch, must be so cool. Love that everyone can cook, bake, grill. Can you adopt me? LOL Every time you all get together it's a party for the taste buds! 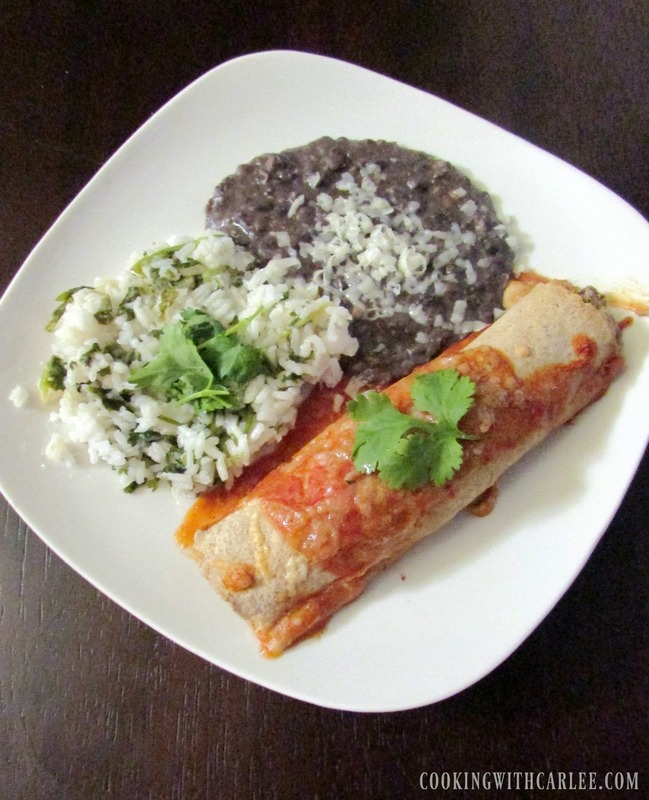 We love mexican food, and like to prepare it at home, making enough for leftovers, of course. Definitely going to try these, they look delish! Thank Jess for me! We'd be happy to have you! We do tend to have a lot of activities that center around food. You just never know what people are going to make next! I hope you love the enchiladas. They are definitely a great big batch meal that give good lunches for a few days after! 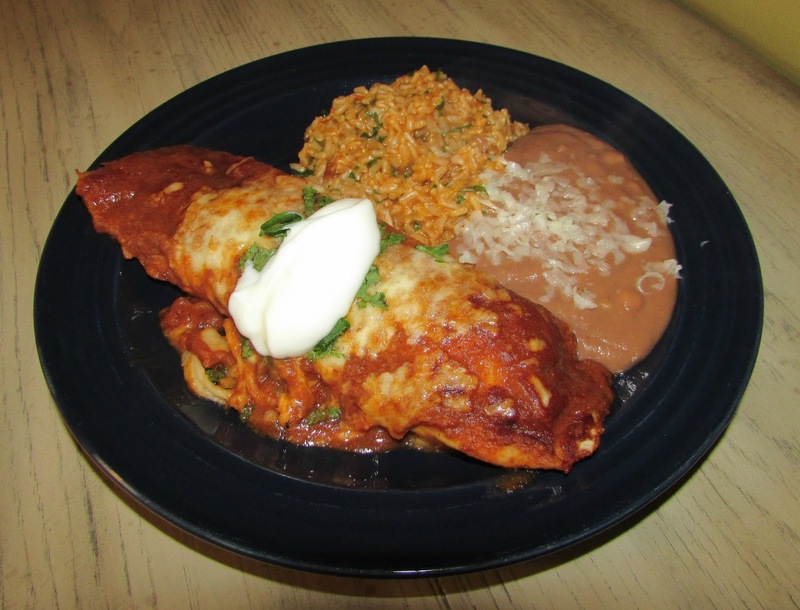 We love Chicken Enchiladas, they look fabulous! I really appreciate you sharing with us at Full Plate Thursday, hope you have a great day and hope to see you again soon! So tasty, Carlee! I will be trying these. Thanks for sharing at Funtastic Friday:). Thank you, Donna. I hope you love them! I have never seen Mexican oregano, something new to look forward to! They sound marvelous. you could use regular in a pinch!